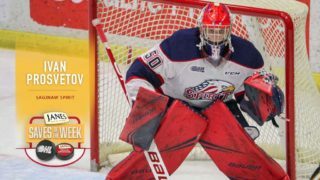 192 past and present OHL players received invitations to NHL Development Camps across the continent this past month. 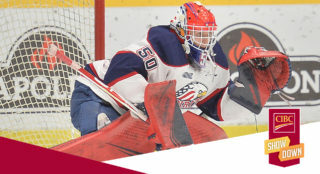 A total of 133 past or present OHL players that were either drafted or signed joined 59 free agent invitees in attending the camps, many of which included comprehensive on and off-ice elements in the local community as players got a feel for their new surroundings. For the second straight year the Toronto Maple Leafs led the way with 17 OHL representatives attending camp while the Los Angeles Kings (12), Arizona Coyotes (11), Dallas Stars (10) and Vancouver Canucks (10) had totals in the double-digits. 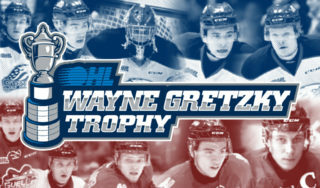 All 20 OHL clubs featured past graduates and present players in attendance at camps with the Sault Ste. Marie Greyhounds leading the way with 17 followed by the London Knights with 14, the Hamilton Bulldogs, Owen Sound Attack and Sarnia Sting each with 13 as well as the Ottawa 67’s with 12. 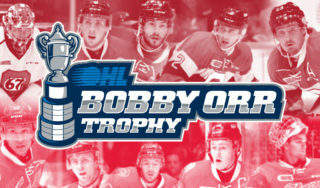 Three current OHLers including MacKenzie Entwistle (Hamilton Bulldogs), Michael Little (Mississauga Steelheads) and Christian Purboo (North Bay Battalion) attended multiple camps. Entwistle attended camp with the Arizona Coyotes before being dealt to the Chicago Blackhawks where he would also participate in mid-July. Little attended camp with both the Nashville Predators and Calgary Flames while Purboo was in camp with both the Los Angeles Kings and Vancouver Canucks. There was at least one OHL player or graduate present at Development Camps for each of the NHL’s 31 member teams. On-ice workouts have just begun. The new boys in Leafs Town join Development Camp. ICYMI: See who wins when roommates Robert Thomas and Jordan Kyrou go head-to-head in NHL 18. And the winner of the 3-on-3 tournament is…Team Murray! Update: @ryan_merkley hasn’t stopped smiling since draft day.